Juniper essential oil (organic) (2 ml) + Angelica root essential oil (organic) (2 ml) + Bay Laurel essential oil (organic) (2 ml) + (2 ml) + Rosemary verbenone essential oil (organic) (2 ml) . Make this mixture with the above-mentioned essential oils (use a 15-ml amber glass bottle). Diffuse 5 minutes every 2 hours (or 2 or 3 drops on a handkerchief, inhale occasionally). Juniper essential oil (organic) (2 drops) + Celery seed essential oil (2 drops) + mediterranean cypress essential oil (organic) (2 drops) + Helichrysum essential oil (organic) (2 drops) + Mastic essential oil (organic) (2 drops) + Calophyllum Oil (organic) (4 drops) + Rosehip Oil (organic) (4 drops) . Mix essential oils with vegetable oils and apply to areas 3x/day until improvement. Juniper essential oil (organic) (1 ml) + Calophyllum Oil (organic) (95 ml) + Birch essential oil (1 ml) + Pine needle essential oil (organic) (1 ml) . Mix ingredients and shake the bottle well before each application. Take 10 drops and massage vigorously morning and evening. Juniper essential oil (organic) (1 ml) + Niaouli essential oil (organic) (1 ml) + Peppermint essential oil (organic) (0.5 ml) + mediterranean cypress essential oil (organic) (1 ml) + Mastic essential oil (organic) (0.5 ml) + Patchouli essential oil (organic) (1 ml) + Calophyllum Oil (organic) (50 ml) . This lotion to be prepared by yourself is to be applied to the legs, in an upward massage (from bottom to top). Perform 2 massages (once in the morning and once in the evening) for 5 minutes. Juniper essential oil (organic) (5 drops) + Geranium bourbon essential oil (organic) (10 drops) + Tea-tree essential oil (organic) (15 drops) + cedar essential oil (organic) (5 drops) + Perfume free Hair & Body Liquid Soap (100 ml) . Mix essential oils in the neutral base and wash your hair with this shampoo. Juniper essential oil (organic) (2 drops) + Helichrysum essential oil (organic) (2 drops) + wintergreen fragr. essential oil (organic) (2 drops) + Apricotkernel Oil (organic) (10 drops) + Peppermint essential oil (organic) (2 drops) + Rosemary essential oil (organic) (2 drops) . For a week, massage aching areas with this mixture. Juniper essential oil (organic) (6 drops) + Niaouli essential oil (organic) (6 drops) + mediterranean cypress essential oil (organic) (6 drops) + Peppermint essential oil (organic) (6 drops) + Mastic essential oil (organic) (6 drops) + Jojoba Oil (organic) (20 drops) . Mix all components and put them in an opaque bottle. Massage from the foot to the thigh, 3x/day until improvement. Juniper essential oil (organic) (1 drop) + Rosehip Oil (organic) (5 drops) + Roman chamomile essential oil (organic) (1 drop) + Baobab Oil (organic) (10 drops) + Geranium bourbon essential oil (organic) (1 drop) + Lavender essential oil (organic) (1 drop) + Peppermint essential oil (organic) (1 drop) . Mix ingredients and rub the affected area. Juniper essential oil (organic) (2 drops) + Lavender essential oil (organic) (2 drops) + Geranium bourbon essential oil (organic) (2 drops) + Rosemary essential oil cineol (organic) (2 drops) + Rosemary essential oil (organic) (2 drops) . Pour 2 drops in the daily dose of shampoo and wash your hair normally. Rub the scalp with 2 pure drops and rinse your head. Juniper essential oil (organic) (1 ml) + Maritime Pine essential oil (1 ml) + wintergreen fragr. 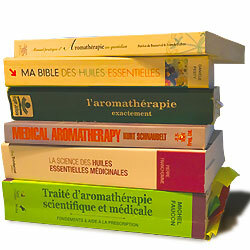 essential oil (organic) (1 ml) + Lavandin super essential oil (organic) (1 ml) + Solub-HE (5 ml) . In a 10-ml glass bottle of, pour the 4 essential oils and solub-he. In the hot bathwater, pour 8 to 10 drops of this mixture. Stir well to ensure that essential oils are well dispersed in the bath. Juniper essential oil (organic) (10 ml) + Maritime Pine essential oil (10 ml) + wintergreen fragr. essential oil (organic) (10 ml) + Lavandin super essential oil (organic) (10 ml) + Perfume free Hair & Body Liquid Soap (12 ml) . Mix essential oils with a neutral base and pour the mixture into the hot bath (38°C) and relax for twenty minutes. Repeat this once a day every day until improvement. Juniper essential oil (organic) (1.5 ml) + Oregano essential oil (organic) (2 ml) + (1.5 ml) + Clove Bud essential oil (organic) (1.5 ml) + Winter Savory essential oil (organic) (2 ml) . These essential oils possess properties to remove warts. Apply only one drop on the wart twice a day until it disappears (in 2 to 4 weeks).